Ever since we got our hands on Charlotte Tilbury’s Colour Chameleon Eye Shadow Pencil in 'Dark Pearl', we’ve been impatient to get our hands on another shade. This time however, we wanted a colour that would be work-appropriate, yet glamorous. Since we’re obsessed with metallics at the moment, we decided to try out ‘Amber Haze’. Here is our review. Like many shadow sticks, this product resembles a chubby crayon. The maroon and rose gold theme keeps with the brand’s aesthetic and looks quite elegant. However, just like the other shade, this one too has issues with the cap staying in place. Another thing we dislike is that the pencil needs to be sharpened, which leads to product wastage. On the formula front, this baby is just incredible. Although the domed tip looks a tad stiff at first, it goes on smoothly and creamily, without any tugging or patchiness. The formula does set quickly though so you need to work fast to blend the colour in. ‘Amber Haze’ is a deep golden-bronze, with reddish undertones and a shimmery finish. Whilst one coat is certainly enough, we found that 2-3 coats really brings out the colour. 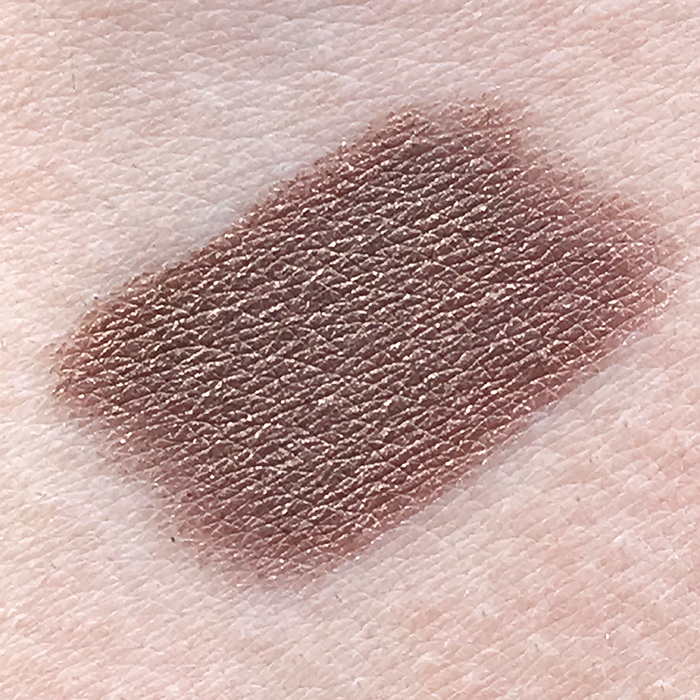 As promised, this shade did enhance the peepers of our brown-eyed colleagues. In all honesty though, it looked pretty dazzling on all eye colours. Since ‘Dark Pearl’ exceeded our expectations with its longevity, we were hoping for the same here… and luckily, we weren’t disappointed. The colour did not budge for over 7 hours and stayed rich, without any creasing or fading. Our Senior Beauty Editor accidentally went swimming with this on (don’t ask, it’s a long story), but still came out with her eye makeup looking flawless! If you are a swipe-and-go kinda gal, this pencil will be right up your alley. Pigmented, long lasting and shimmery, this shade is the definition of subtle glamour.